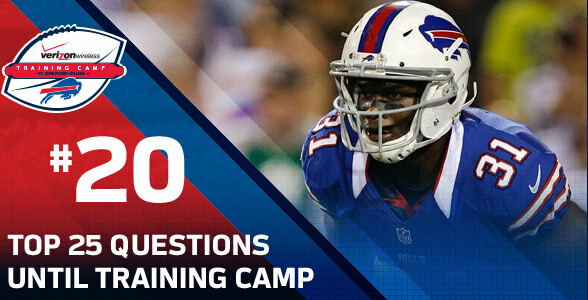 At the bottom of our #20 question in our Top 25 questions until training camp, which asked will Jairus Byrd be signed long term, we asked fans to weigh in on what they believe the outcome will be. Suffice to say that Bills Nation is split right down the middle. Granted 2,000 votes is a small sample size, but the vote by Bills fans was separated by just 20 votes (click on image below to view it full size). It speaks to just how divided Bills fans are on what they think could happen with the Pro Bowl safety.